A bench warrant has been issued for a man who failed to turn up to answer charges of defilement at Letterkenny Circuit Court. A jury was due to be sworn in for the case which was due to be heard ‘in camera’ or behind closed doors. The man cannot be named for legal reasons. A jury was due to be sworn in in front of Judge John O’Hagan. 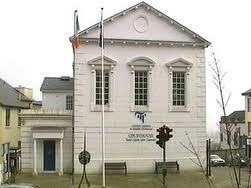 However the accused failed to tum up to answer the charges and Judge O’Hagan issued a bench warrant for his arrest.